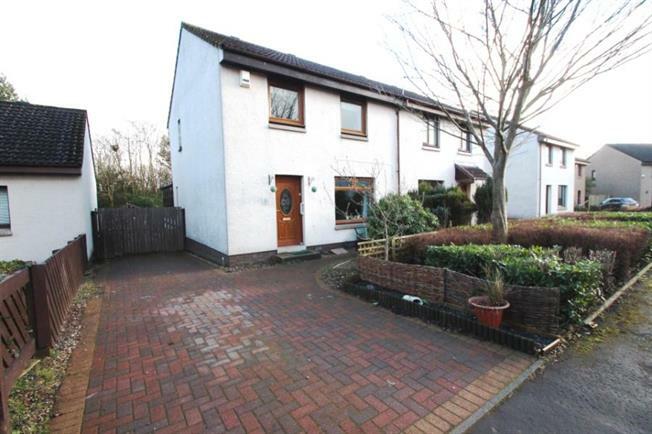 3 Bedroom Semi Detached House For Sale in Glenrothes for Offers Over £128,000. This lovely extended semi-detached villa is located within a popular residential street within the Balfarg precinct of Glenrothes. Conveniently located for the A92 providing access throughout Fife and beyond and for Markinch mainline train station found approximately 3 miles away. The property offers good sized family accommodation comprising of; entrance vestibule & hall with storage cupboard, cloakroom/WC, front facing lounge, dining kitchen to rear and a sun room extension making the most of the rear aspect. Upstairs are 3 bedrooms & a family shower room. Externally there are low maintenance gardens to both front and rear. The front garden is planted with shrubbery with a monoblock driveway to side providing ample parking for several vehicles. The rear garden is enclosed and has been chipped/paved and backs on to woodland creating privacy. With double glazing and gas central heating, early viewing is recommended.